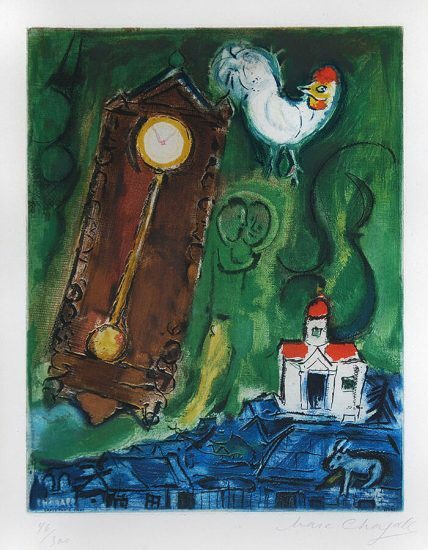 Sell Marc Chagall artwork with us. We will research its value and popularity for you. 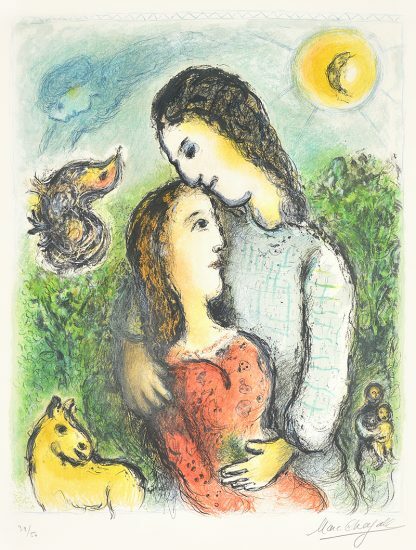 Browse Marc Chagall Catalogue Raisonnés Online. 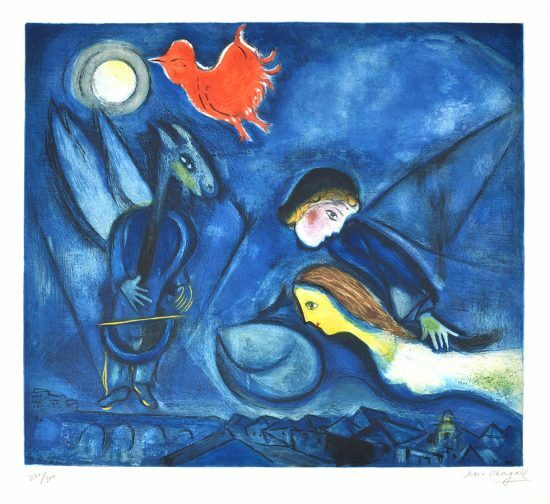 Marc Chagall was born July 7, 1887, in Vitebsk, Belarus. From 1907 to 1910, he studied in Saint Petersburg, at the Imperial Society for the Protection of the Arts and later with Léon Bakst. In 1910, he moved to Paris, where he associated with Guillaume Apollinaire and Robert Delaunay and encountered Fauvism and Cubism. He participated in the Salon des Indépendants and the Salon d'Automne in 1912. 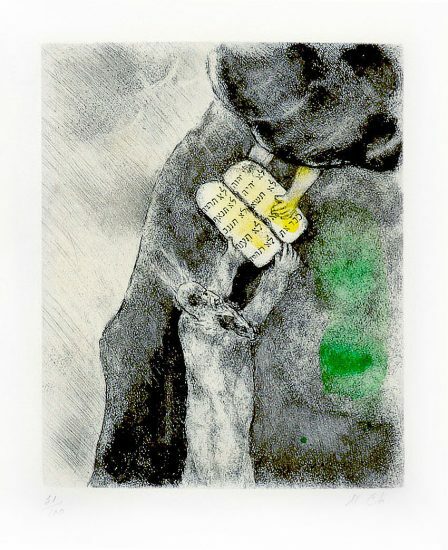 His first solo show was held in 1914 at Der Sturm gallery in Berlin. 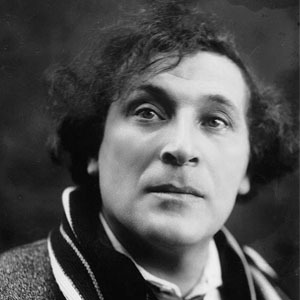 Chagall visited Russia in 1914, and was prevented from returning to Paris by the outbreak of war. He settled in Vitebsk, where he was appointed Commissar for Art in 1918. He founded the Vitebsk Popular Art School and directed it until disagreements with the Suprematists resulted in his resignation in 1920. He moved to Moscow and executed his first stage designs for the State Jewish Chamber Theater there. 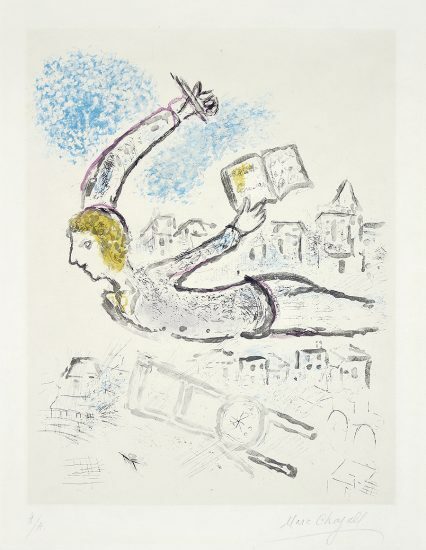 After a sojourn in Berlin, Chagall returned to Paris in 1923 and met Ambroise Vollard. 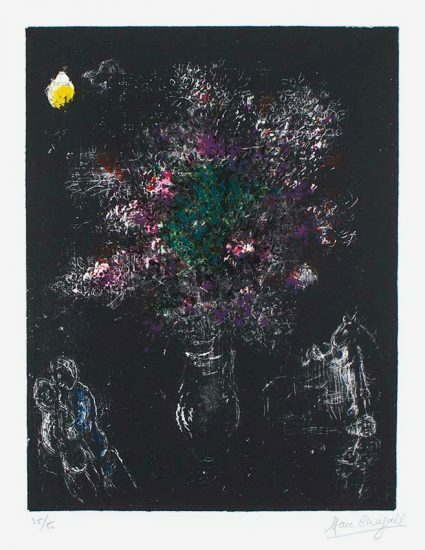 His first retrospective took place in 1924 at the Galerie Barbazanges-Hodebert, Paris. 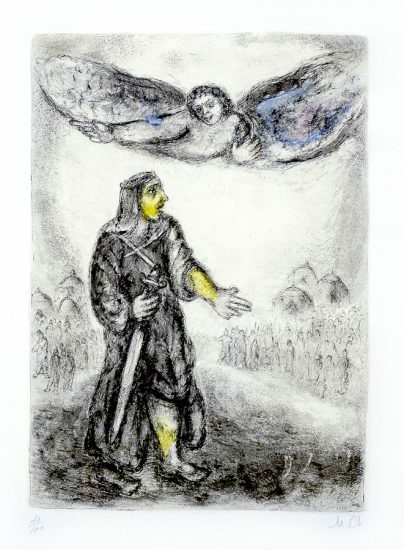 During the 1930s, he traveled to Palestine, the Netherlands, Spain, Poland, and Italy. 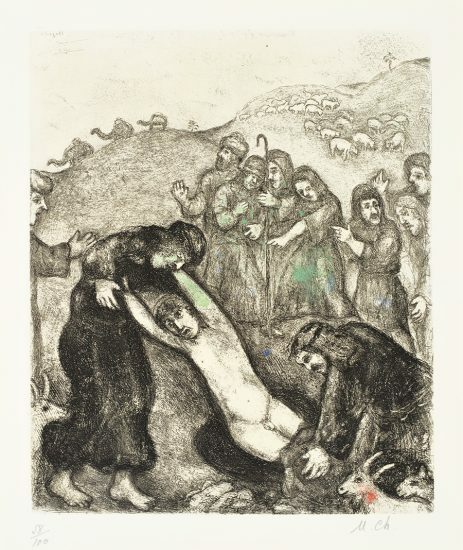 In 1933, the Kunsthalle Basel held a major retrospective of his work. 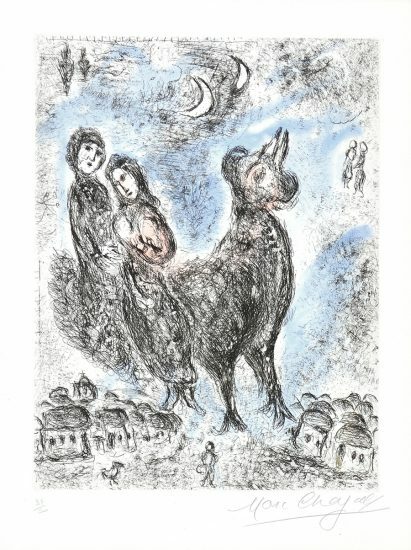 During World War II, Chagall fled to the United States. The Museum of Modern Art, New York, gave him a retrospective in 1946. 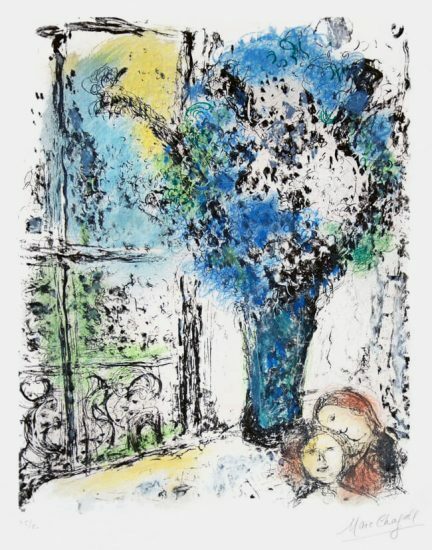 He settled permanently in France in 1948 and exhibited in Paris, Amsterdam, and London. 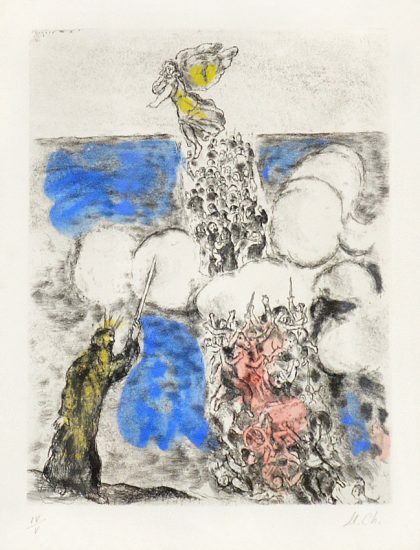 During 1951, he visited Israel and executed his first sculptures. The following year, the artist traveled in Greece and Italy. 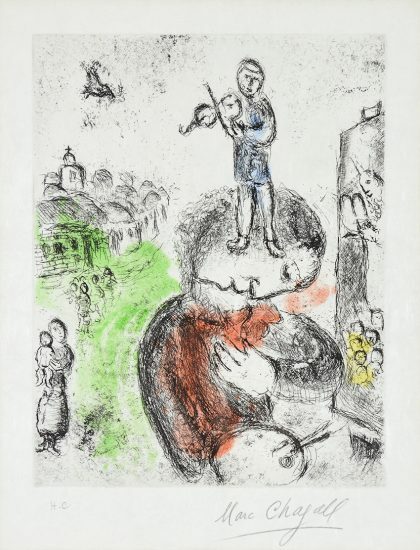 During the 1960s, Chagall continued to travel widely, often in association with large-scale commissions he received. 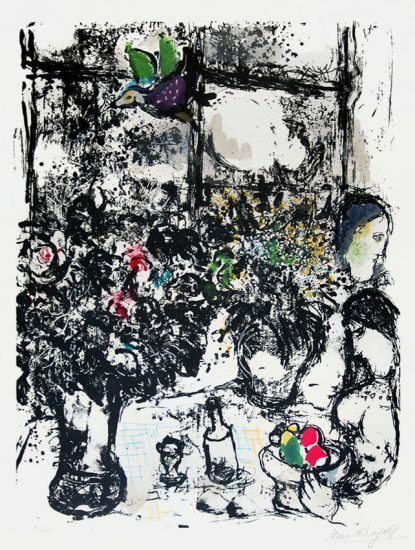 Among these were windows for the synagogue of the Hadassah-Hebrew University Medical Center, Jerusalem, installed in 1962; a ceiling for the Paris Opéra, installed in 1964; a window for the United Nations building, New York, installed in 1964; murals for the Metropolitan Opera House, New York, installed in 1967; and windows for the cathedral in Metz, France, installed in 1968. 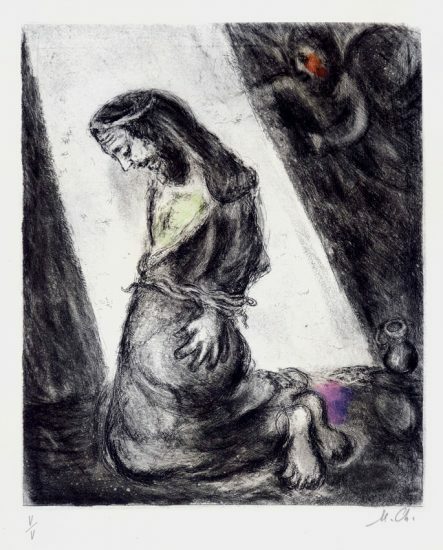 An exhibition of the artist's work from 1967 to 1977 was held at the Musée du Louvre, Paris, in 1977-78, and a major retrospective was held at the Philadelphia Museum of Art in 1985. 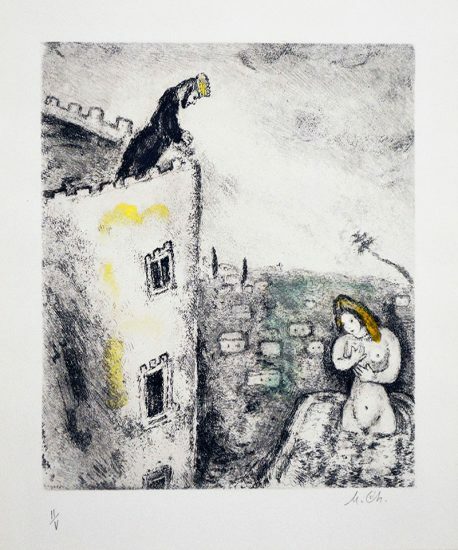 During his lifetime he also created popular lithographs, such as Maternity. 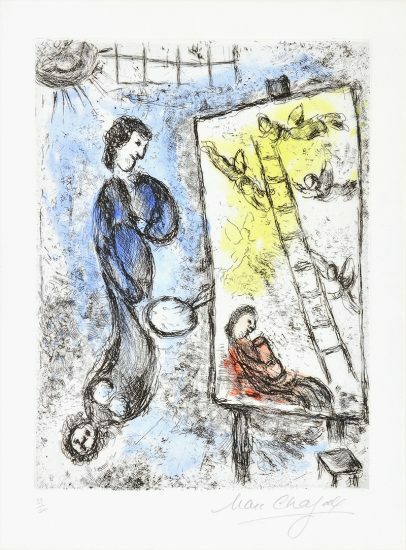 Chagall died March 28, 1985, in Saint-Paul-de-Vence, France. 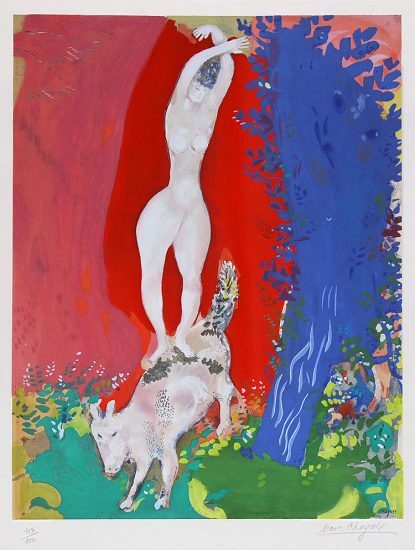 "When Matisse dies," Pablo Picasso remarked, "Chagall will be the only painter left who understands what color really is." Picasso claimed he was not a fan of the "flying violins and all the folklore, but his canvases are really painted, not just thrown together." 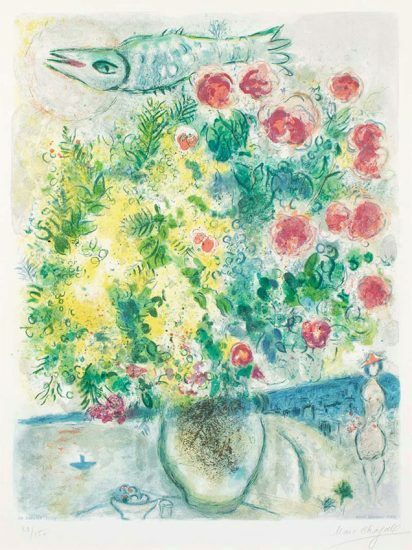 He followed up by saying, "There's never been anybody since Renoir who has the feeling for light that Chagall has." 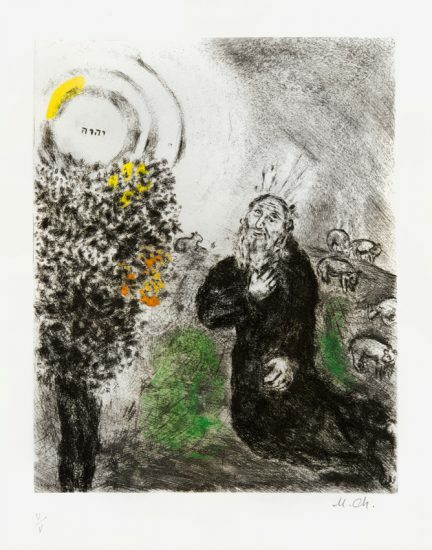 The Museum of Biblical Art describes The Bible Chagall prints as showing "Chagall's fluid forms, dreamlike sense of space and unique style. 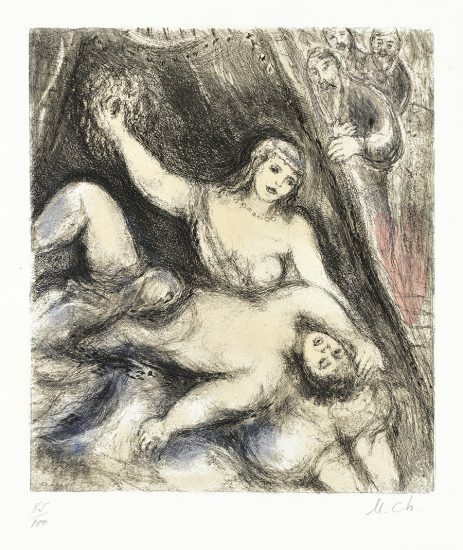 In his choice of subject matter, Chagall reveals his reading of the Old Testament in its moments of triumph, sorrow, and prophecy."